Newly constructed bathroom located in Northville Michigan. Quaint half bathroom uniquely constructed underneath the basement staircase. This bathroom started off as an unoccupied area underneath the basement stairs. 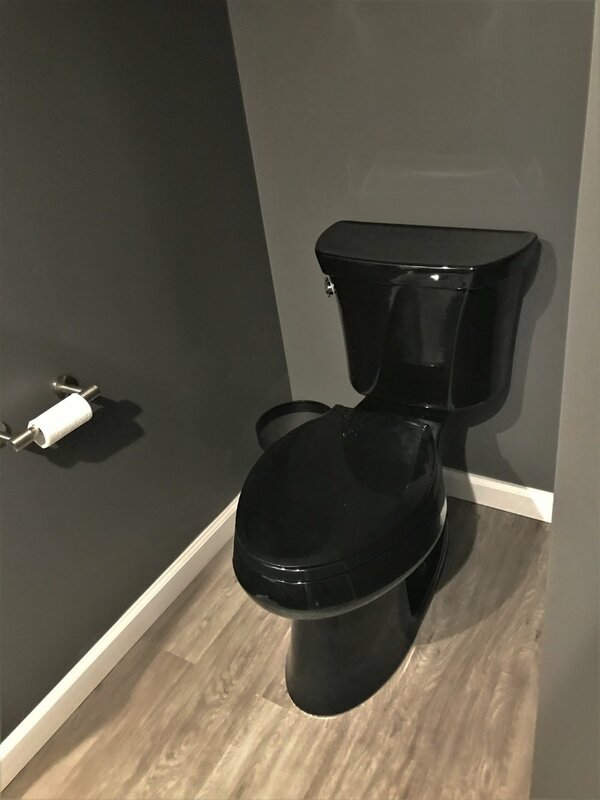 We transformed the unique space into a functional half bathroom. When designing a half bathroom in a small area, it can be difficult to add design features without making the space feel cluttered. From the laminate flooring to the recessed lighting, this design used every square inch to get the most out of the space.